We had snow for Thanksgiving Day and Friday this year. There was a possibility of more snow for later Sunday. In town, we had a few inches, but it is still very cold. 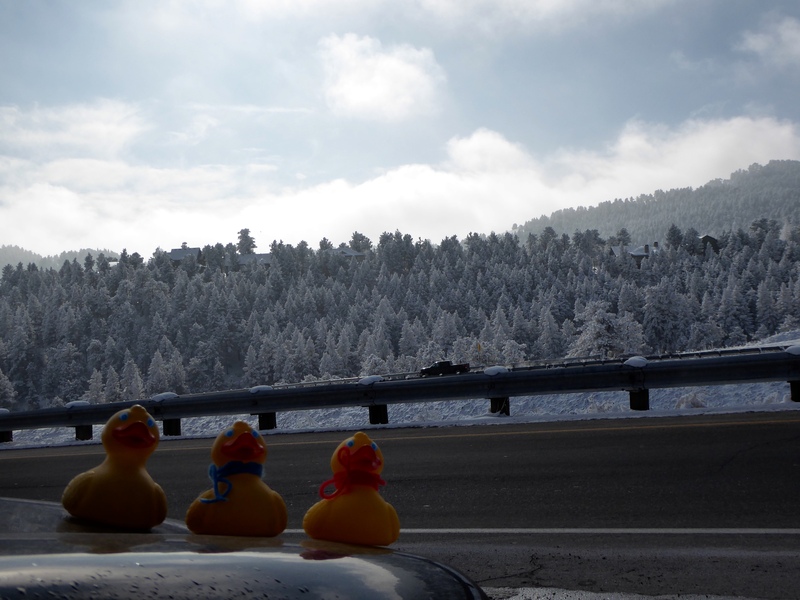 Sunday, Zeb the Duck, Soapy Smith Duck, and JB Duck drove a short distance from Denver to see the new snow in our nearby mountains. Ten or fifteen minutes from Denver, it was very overcast, but these trees look beautiful. Soon we saw sun breaking through on this mountain. Here is I-70 looking west. 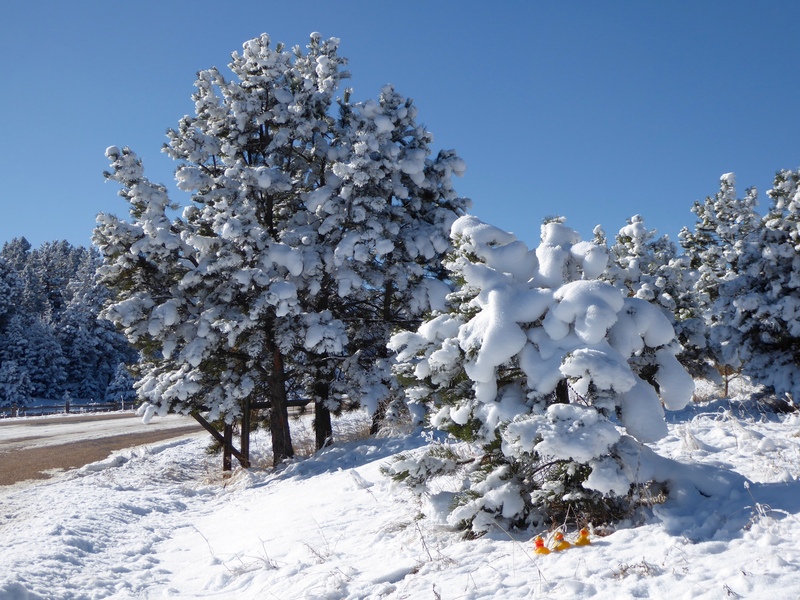 These trees appeared to be decorated with snowballs, to celebrate the Christmas season. 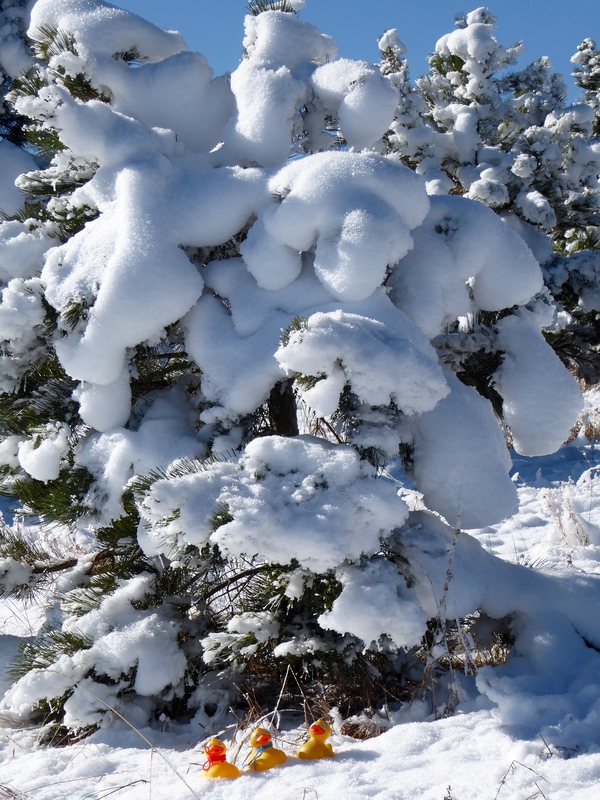 We really like this snowy tree, but we don’t want to sit in the cold snow very long. 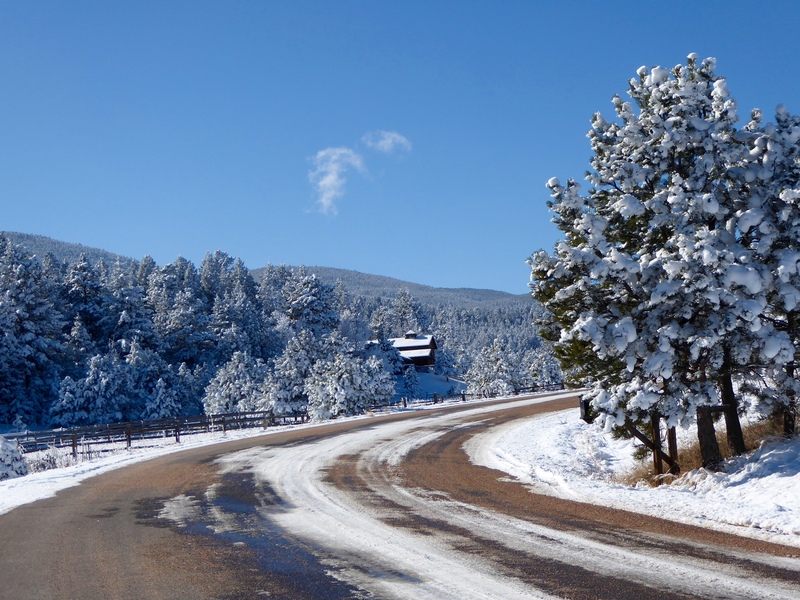 Looking down the road, winter is coming to the Colorado mountains. Although the sun is bright, the temperature was only 20 degrees, in the sun. 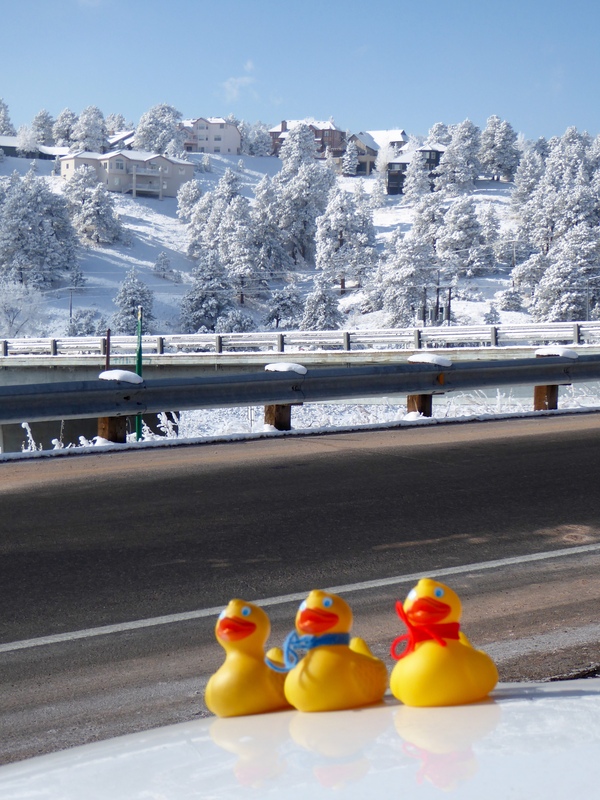 We were no more than 20 minutes from our home in the Denver suburbs. 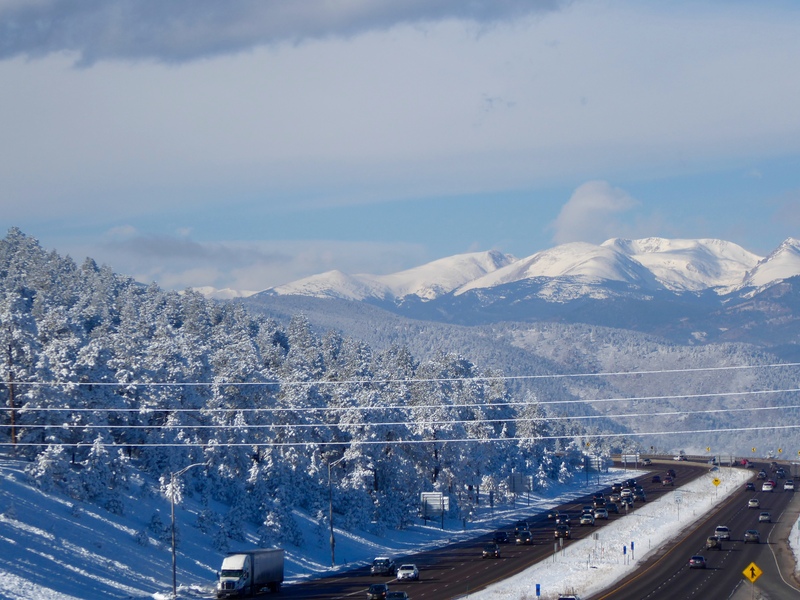 We hope you visit Colorado this winter. Many of our ski areas are now open for winter fun. 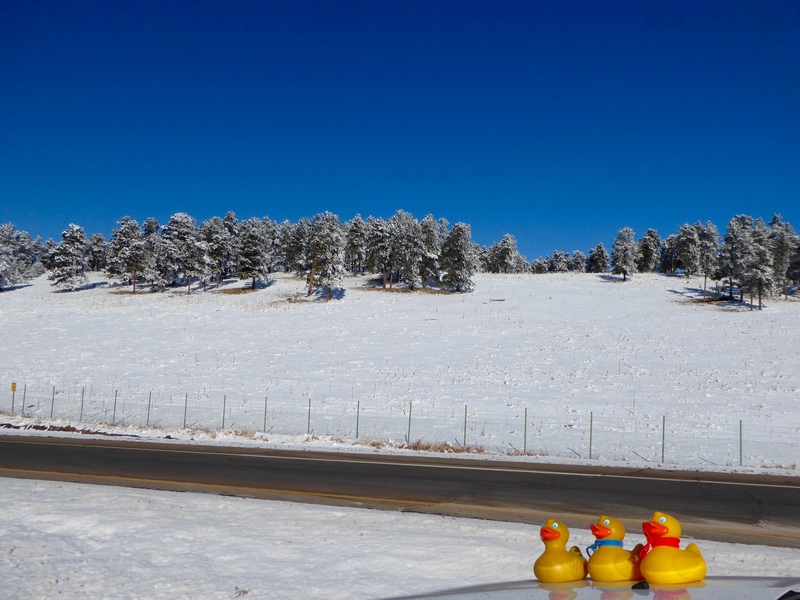 This entry was posted in Colorado, Uncategorized and tagged Colorado, Colorado Traveling Ducks, snow, winter in the Colorado mountains. Bookmark the permalink.